Bobcats Blog! | Where CAREing matters! Every Spring the faulty and staff at Ben-Hem engage in the process of creating classes for the coming school year. Developing and balancing our classrooms is a major step in preparing for each school year. Classroom composition plays an important role in the success of every school year and, therefore, we invest a great deal of time and energy into the placement process. Class placement begins in April and extends through the last day of the school year. Classroom teachers, guidance counselors, specialists, special educators and administrators work collaboratively to ensure the very best composition of classes for the coming years. Parents participate in this process by submitting letters that provide specific information about the learning style and needs of their child or children. Parent input is valued and given consideration throughout a rigorous placement procedure. Every child is unique and brings specific needs and characteristics to the classroom. Creating balanced classrooms that maximize the experience and learning of all students is a top priority for Ben-Hem faculty. To facilitate effective balancing, many variables and factors are considered when creating the classes. The following list provides an overview of the criteria by which every proposed class list is reviewed and revised throughout the process. Parents who wish to participate in the class placement process may do so by submitting a letter to Ian Kelly by May 1st of each school year. The following paragraph is intended to support parents in crafting letters that will support placement teams as they strive to ensure the best placement for every student. The overarching goal of the placement process is to create classes that support the learning and well-being of all students. Given that this is a child-centered process, parent letters should focus on providing the placement team with specific information pertaining to their children as opposed to specific teachers. Requests for specific teachers will not be considered during the placement process. The balancing criteria referenced in the previous section are great places to start when thinking about what you would like to share. Parents hold critical information about their children that broadens the perspective of class placement teams. Every so often, circumstances or needs extend beyond those listed above. Parents are encouraged to share this information as well. Robust information about children supports effective placement decisions. This year Mr. Kelly will again host parent coffees. These coffees are planned monthly (schedule follows) for the remainder of the school year and are informal get togethers for parents, families and community members. There is no formal agenda as the purpose is to provide opportunities for folks to talk with Mr. Kelly, ask questions, and share concerns. Last year’s series was a great success. Through these conversations topics like class size, budget, and long term strategic planning were discussed. These were great conversations as they allowed Mr. Kelly to better understand the perspective of parents and the community on issues impacting the school while providing an occasion to dive deeply into the laws, regulations, and contexts that are often the reasons for the issues and concerns raised by the community. Building this common understanding of ongoing school improvement efforts, the contexts in which they exist, and their perceptions within the community is critically important to our community as Ben-Hem seeks to provide educational opportunities for students that maximize opportunities to learn in a manner that is consistent with the values and goals of the parent and family community. We hope that you will take the opportunity to join us! December 9th at 8:00 a.m.
January 12th at 4:00 p.m.
February 25th at 7:00 p.m.
March 24th at 8:00 a.m.
April 25th at 4:00 p.m.
May 19th at 7:00 p.m.
June 15th at 8:00 a.m. This is a post that I wrote last year focusing on parent-teacher conferences. Please take a look and gear up to get the most out of your upcoming conference. Strong communication between home and school is critical to the success of our students and children. Parent-teacher conferences are one formal mechanism we use to support and enhance the home-school connection. 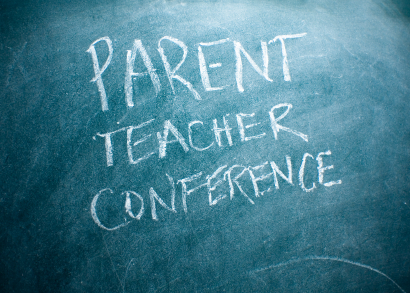 Parent-teacher conferences take place formally twice per year; in November and April. This year’s dates are November 7th and 13th and April 8th and 16th. These are important times for teachers and families to review progress, address concerns, and plan strategically for the coming months. It goes without saying that these conferences are very important to the education of our students. Teachers spend many hours preparing for conferences and there are many things parents can do to ensure efficient and effective conferences. Take time in the days preceeding the conference to gather your thoughts. What questions do you have for the teacher? What concerns do you have? What is it you would like your child to focus on in the coming weeks and months? Productive, goal oriented conversations are critical. Discussions about our children aren’t always easy. We have all kinds of hopes, dreams, expectations, and feelings for and about our children. Both you and your child’s teacher are there to discuss and carry out actions that are in the best interests of your child. Keeping this fact in mind will help maintain focus on what’s most important. We often overlook the fact that children are very important members of our team. Involving students in the decisions that impact their lives is critical for two primary reasons. First it provides a sense of agency. Children need to understand that they play a key role in determining the course and outcome of their lives. Second, it builds ownership and accountability. When children are involved in the processes and decisions that impact their lives, they are more likely to engage in the plans and hold themselves accountable to goals and outcomes. Talk to your children before the conference. Ask them questions. What do they think they need to work on? What are their strengths? What questions do they have? After the conference, let your children know what you discussed during the conference. Answer the questions they posed and clearly lay out goals and expectations for the coming weeks and months. For some kiddos, the start of school feels overwhelming. 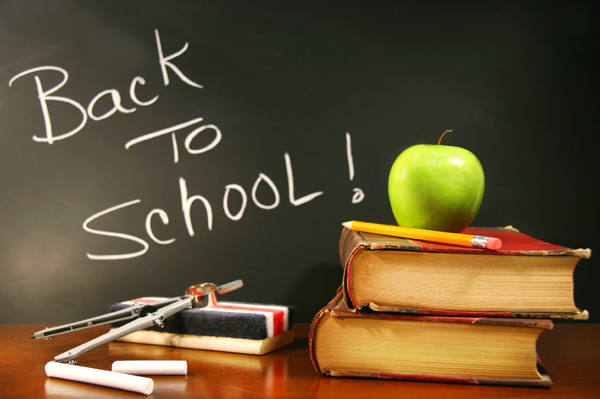 This great article offers practical advice and strategies to help kids feel more comfortable with the transition to or back to school. This article provides a number of links to other great articles about separation anxiety, food allergies, starting school for the first time, etc. 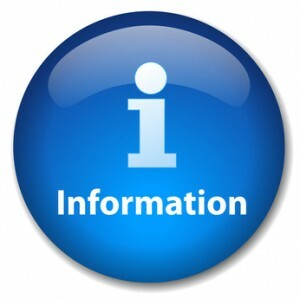 If you have any questions about the start of school, please do not hesitate to reach out to the main office or your child’s teacher. Through an NEF grant, each student and staff member at Ben-Hem was able to obtain a one-year subscription to Tales2Go! 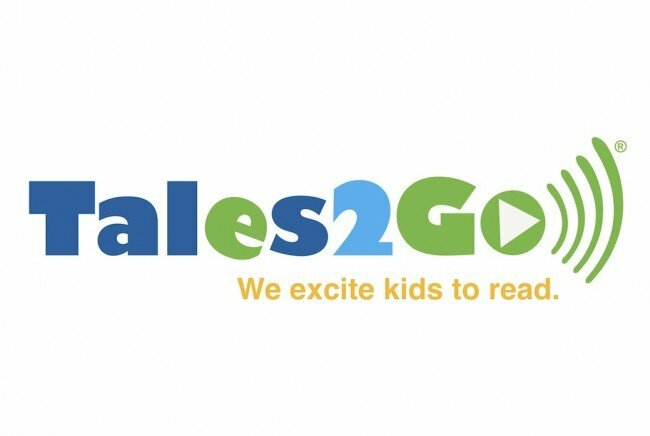 Tales2Go is an award-winning kids’ mobile audio book service that streams thousands of familiar titles to mobile devices and desktops in the classroom and beyond (think Netflix for books). The benefits of listening to audio books include enhanced vocabulary, fluency and listening skills as well as the development of background knowledge. Studies show that when a listening component is added to reading instruction, student achievement increases measurably. Students are able to read at a higher level without having to decode each word on a page, and they hear modeled fluent, expressive reading. You will need to login as a “school” and fill in the country, state and school name as you log in. The User ID will be first initial last name for most kids (ie: kstoetzel). If we have two students with the same first initial and last name, additional letters are added to the first name until a unique id is found. You will receive specific login information from your child’s classroom teacher. Password for everyone is “bobcats”. Be sure to bookmark your favorite books for easy access at school and at home. Try to listen with your child a few times per week. If you show your child that you like to read, it might excite them to read! You can include listening into homework time, a bedtime story or on your way to sports practice. Enjoy Tales2Go and happy listening! If you are the parent of a third or fourth grade student you know that this week marks the beginning of PARCC testing. If your kiddos are a bit younger, you may be hearing a lot of talk about PARCC testing in the community and in the media. Whether you are new to the PARCC conversation or have been involved for a long time, it is important that you understand why we are working with the PARCC assessment and where we stand as a professionals with this new standardized test. In 1993 the Massachusetts legislature enacted an aggressive educational reform agenda. One major outcome of this legislation was the implementation of the Massachusetts Comprehensive Assessment System (MCAS). MCAS was intended to measure the overall efficacy of schools, districts, and the state in ensuring that all students had access to and were mastering the skills and concepts spelled out in the Massachusetts Curriculum Frameworks. Just a few years after MCAS was implemented in Massachusetts, the federal government signed the No Child Left Behind Act (NCLB). In 2001, this law brought with it a considerable focus on holding public schools accountable by measuring student learning using standardized testing results. The accountability movement achieved the desired outcome of focusing schools on student achievement and using data to make strategic decisions about how to best meet the needs of a diverse student population. Unfortunately, the accountability movement achieved a number of unintended outcomes. The accountability systems outlined in NCLB detailed serious consequences should a school not achieve at the performance targets spelled out in the law. The penalties associated with “failure” pushed schools to focus narrowly on tested curriculum and caused a high degree of anxiety amongst professionals at all levels of the public education sector. Sadly, this focus on testing and the related anxiety spilled over to families, students, and communities. As the accountability movement gained momentum in the years following the implementation of NCLB, the tumult and debate over test scores and the performance of public schools continued. In 2008 the federal government made its latest attempt to bring about sweeping educational reform. This time the reform did not come in the form of law but in a competitive grant program known as Race to the Top (RTTT). RTTT provided states with an opportunity to apply for grants using twenty-eight criteria to judge applications. Grant winners would share in the $4.35 billion encapsulated in RTTT. Four of those criteria focused on standards and assessment. In order to score points states had to submit plans that committed to “developing and implementing high quality assessments.” These federal grant criteria are the fuel behind the Common Core State Standards (CCSS) and PARCC. One of the primary criticisms of MCAS has been and continues to be that it tests low level thinking and comprehension skills. In its current format, the MCAS assessments do not provide insight into the critical thinking and problem solving skills that are so critical to life in the twenty-first century. PARCC assessments were designed to enhance MCAS like assessments by creating testing scenarios that provided those insights into higher order thinking and problem solving skills while maintaining the standardize testing regiment necessary for school accountability purposes. Time and experience will allow professionals to judge whether the PARCC assessment meets that need and achieves its intended outcome. What are the next steps for PARCC at Ben-Hem? PARCC is a new standardized testing measure. As such, the test developer (Pearson) and the Massachusetts Department of Elementary and Secondary Education (DESE) need to calibrate the tests to make sure that they assess the skills and concepts that they are intended to measure and that the skills and concepts are grade level appropriate. Because of the need to tune these assessments, the results, in essence, don’t count this year. You might hear educators say things like, “… we are being held-harmless this year.” When they say this they are referring to the fact that the testing results will not count for school accountability measures. Beyond the fine tuning of the test, there are also a huge number of technical, staff training, and student preparation elements that we are working out. The PARCC tests will be taken on iPads using an application developed by Pearson called TestNav. Implementing computer based standardized testing on a broad scale presents a massive challenge that has taken many, many months to sort out and prepare for. How is Ben-Hem managing PARCC testing with students? The public discourse surrounding the CCSS and PARCC can best be described as heated and divisive. Regardless of the public debate, we are choosing to use PARCC as an opportunity to do something positive for our students and for our community. Over the course of my career, I have heard many teachers talking about “getting kids ready for MCAS.” I have heard parents talking about the stress that their their children feel and I have seen kids get incredibly worked up about these assessments. None of these outcomes remotely resemble what we hope for our schools and our students. These are the outcomes we intend to change and I ask that parents and families join us in this worthwhile endeavor. At school, we are taking a three pronged approach. We are focusing on the idea that the PARCC assessment is a test of the test. We are explaining to students that Massachusetts still isn’t sure how good the test is and that giving it to kids will let them know just how good (or bad) the test is. We are reinforcing the message that these tests aren’t a measure of a person’s intelligence or capacity to learn and perform. Standardized tests, no matter how good, are not exact measures of students knowledge and understanding. If a student took a standardized test on fifteen different occasions, we would expect to get fifteen different scores that fall within a range of scores that third graders normally fall into. Understanding this variability helps kids to understand that the test is not a certain measure of what they know and are able to do. We are moving away from “MCAS preparation.” This is the practice of dedicating teaching and learning time to taking mock tests and focusing on how to take test questions apart to get the right answers. There is no question that we have an ethical obligation to our students to ensure that they have the skills and knowledge to participate effectively in PARCC examinations. To do so we provide orientation to the online testing environment and the overall layout and format of the test. Beyond this orientation to the test and testing environment we will entrust success on any standardized test to the amazing learning opportunities that this community provides for its students and children. Reiterate the messages we are sharing with kids. Kids feel more comfortable when they know that the adults in their lives are on the same page. If your kids mention PARCC, give your children information not opinions about the test. Help them by giving facts. There are many great resources that describe the tests and their content. Reinforce the idea that they should do their best work just like they do on any other school day. The only difference is that on PARCC testing days they will do their best work on an iPad. Relax. PARCC scores will in no way limit your child’s admission to honors courses or any other opportunities later in life. These tests are designed to give a general sense of how children are performing and what they may need in terms of instructional focus in future months and years. Public education in the commonwealth of Massachusetts has always been and continues to be a top priority of the state and its residents. State leaders recognized the importance of education in 1780 when they drafted the constitution and they continue to recognize it today in their ongoing efforts to provide a world class education for our children. While there are many things people don’t agree on, most folks get behind the idea that going to school and engaging in a great education is one of the fundamental building blocks of long term success. While a healthy school culture and great teaching are critical, a child must attend school to enjoy the benefits of public education. To that end, the Massachusetts legislature mandates school attendance and sets very clear parameters for how schools maintain attendance and how they must respond when students do not attend school. Based upon those parameters, the Department of Elementary and Secondary Education specifies regulations for local school districts and from there school committees and districts set policies that will implement the laws and regulations set forth by the state. Natick’s policies can be found using this link. The policies lay out how we manage attendance at the district and building level. The following paragraphs summarize and spell out some of the information contained within that policy. In the event of a planned absence or tardiness, the parent must provide advanced written notice to the school. In the event of unforeseen absences or tardiness, the parent must call the school as soon as it is determined a child will be absent or tardy. What if I’m taking my child out of the country or on a long vacation? 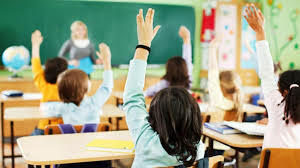 There is no replacement for loss of instruction.Should a parent choose to keep a student out of school for reasons other than illness or excused situations, the school will not assume responsibility for either preparing lessons in advance for the student or providing individual tutoring or extensive individual help for the student when he or she returns. It will be the responsibility of the student and the parent to identify work that may be missed. While teachers will provide the normal range of assistance, it is the student’s responsibility for making up work. Families should expect to be notified if their child has reached or exceeded the number of absences commensurate with Chapter 76, section 1 of the Massachusetts General Laws. The policy can be found on the Natick Public Schools website by clicking here. 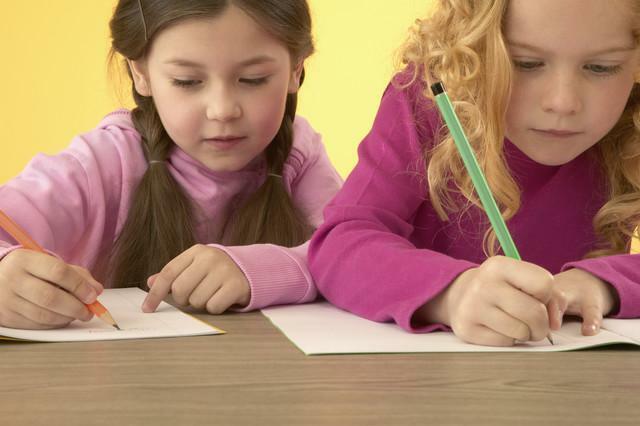 Supporting young people in their growth as young writers is one of the most important and complicated tasks that educators and parents manage in the early years of life. It is important for many reasons but the one that most often comes to mind is that is is essential to communicate thoughts and ideas effectively. I think that this is the reason that most often pops into people’s heads when they consider why writing is important. who am I writing to/for? what words will I use to articulate this message? in what order will these words make the most sense? in what order will these ideas make the most sense? I could go on and on, but I think you get the idea. Writing is incredibly complicated but it is also an essential mechanism that we use to reflect on our ideas, to refine those ideas, and in our attempt to communicate those ideas to others so that they will understand. The review and rehearsal of information is a critical step in the process young people use to attach new information to existing information and, therefore, make sure that it “sticks” in the long term storage of the mind. By engaging young people in writing as much as possible, we actually engage them in thinking as much as possible. The lesson is this; encourage and support young people to write as much as is possible throughout the day. More writing, more thinking. More thinking, more review and rehearsal. More review and rehearsal, more learning. Learning and learning how to learn is what we all want that for the young people in this community. So, think about all of the ways that you can engage your young writer in the process of thinking and processing ideas and information. If they have a special meal that they would like, ask them to write it down so that you remember. If they are a little older ask them to write down as many of the ingredients as they can remember. If they would like a playdate with a friend, ask them to make a note of it so that you don’t forget. Ask them to jot down a few things they would like to do during that playdate. Engage them in writing about their interests. If they like to build things, engage them in writing about the buildings and the designs of those structures. They might like drawing or painting, ask them to describe the painting or drawing. There are a million ways to go about it but the bottom line remains the same. Every time they put pen to paper it’s contributing to their growth as a writer AND a learner. I was reflecting on November’s PTO meeting over the course of this week and I got to thinking about a portion of our conversation that focused on the laws and regulations that govern public education. This is an important part of our work and is increasingly important for parents to understand. These laws and regulations create the context in which much of what you see happening in our school occurs which, consequently, has a high degree of influence on the kind of educational experiences and opportunities children have access to. Public education in Massachusetts is generally governed by federal and state law which is then operationalized via regulations set by the Massachusetts Department of Elementary and Secondary Education. At the local level it is up to the School Committee and central office to determine the policies and practices on the ground that will bring the laws and regulations to life. That is a bird’s eye view of the system from 30,000 feet. There are many, many thousands of details and dynamics at play and it would take me a thousand pages to begin scratching the surface of that complexity. Rather than diving into all of that, I would like to point parents and community members to a few good resources that provide national, state, and local perspectives on the policy and politics that impact the education of Ben-Hem’s children. This website provides links to many of the key federal laws that govern the work of schools. There is a lot of great information there! This is a great periodical that provides a big picture look at public education across the United States. This link will take you to the DESE’s press release archives. This is a good resource as it hi-lights some of the bigger picture work at the state level and provides lots of links to other resources for those of you who would like to read more. The MASC website is a good starting place to get a feel for how policy and practice take shape across the state. At the bottom of the main page there are recent articles with links to archives. School Committees in Massachusetts are charged with setting district level policy, establishing the budget, and the hiring and evaluation of the superintendent. The School Committee is a great local resource for parents and community members. Their web-site is full of helpful information that is relevant to public education in the Natick Public Schools. The Office of Curriculum, Assessment, and Innovation is best described as the brain and central nervous system of the school district. As it’s name indicates, this office is primarily responsible for the ongoing coordination, evaluation, and development of K-12 curricula in the Natick Schools.